Divided into four parts or stages, composer Deuter has created a score to be used when practicing this meditation. 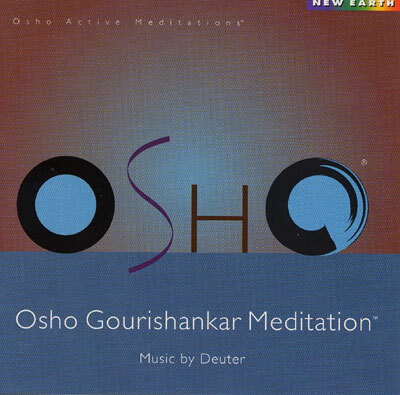 The first track on OSHO GOURISHANKAR is simple, unadorned, and slow-moving. For this stage, Deuter uses mellow keyboard string sounds set to a minor key. The second phase asks the participant to contemplate a single candle flickering, for 15 minutes' time, during which Deuter chooses to leave the practitioner in complete silence. For the third stage, Deuter provides some basic bell chimes for a couple of minutes, and then leaves the listener to reflect in silence for the remainder. During the fourth stage, Deuter again stays out of the way, allowing the participant to experience complete quiet. This four-part meditation includes a breathing technique, witnessing, a letting-go stage, and a final resting stage, leading one toward a state of openness and peace. The Gourishankar meditation is but one of the many techniques developed by the Indian spiritualist Osho. Like his other meditations, this practice revolves around freeing the body and mind from the confines of life's daily stresses. It is also designed to help the practitioner feel a deeper sense of spiritual awakening.